1. 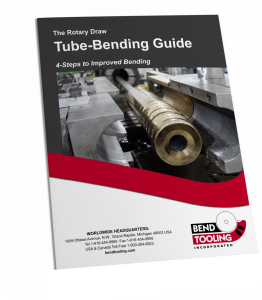 The horizontal raised steel block on the bend head of a rotary-draw bending machine which mates with the keyway on the bottom side of the bend die to drive the die in the direction of the bend head’s rotation. On a few machines, especially old models, a pin instead of a key serves this function. 2. The narrow vertical key on the leading end of the follower bar of a rotary-draw bending machine which drives the pressure die forward. On some machines shoulder bolts or hanger brackets fitting into notches on the follower bar serve this function.